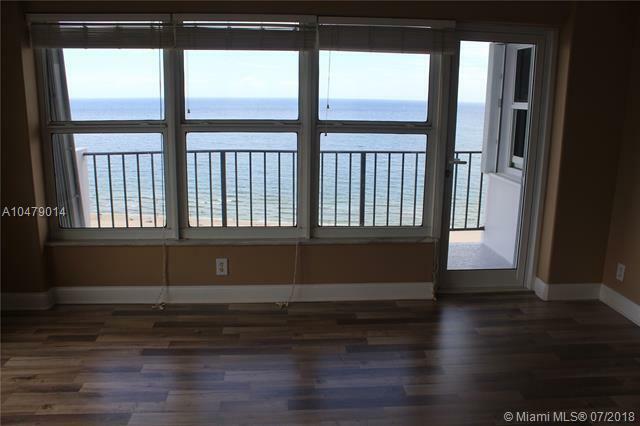 Incredible Ocean views from this completely remodeled 2/2 corner unit. 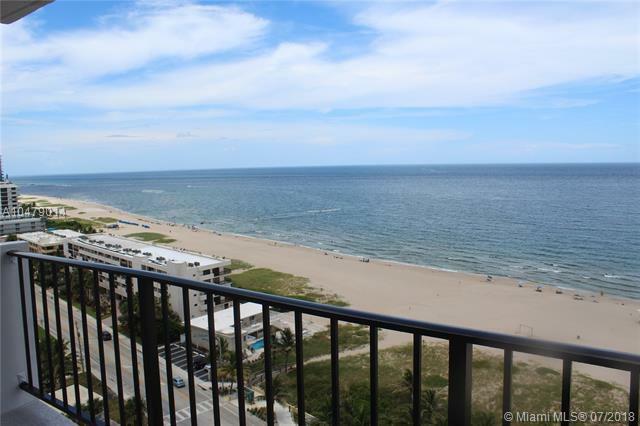 Features 2 balconies, great size living area, huge master with large California walk-in closets, all wood floors, beautifully renovated bathrooms and stunning kitchen with granite counters and tiled flooring. Has Hurricane Shutters, new Central AC and new water heater. 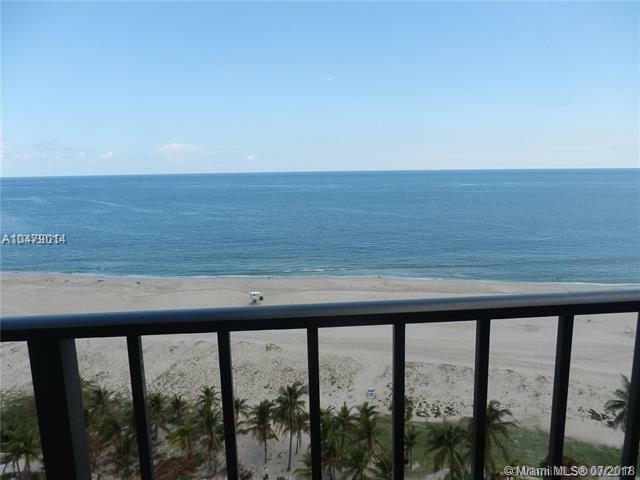 Enjoy an open floorplan with ocean view from everywhere !! Building has new exercise room, heated pool with tiki huts and BBQ's, 24/7 security, game room, billiard room, free wifi plus a party room. Building exterior is being painted giving it a beautiful new look. Covered parking and plenty of guest parking. 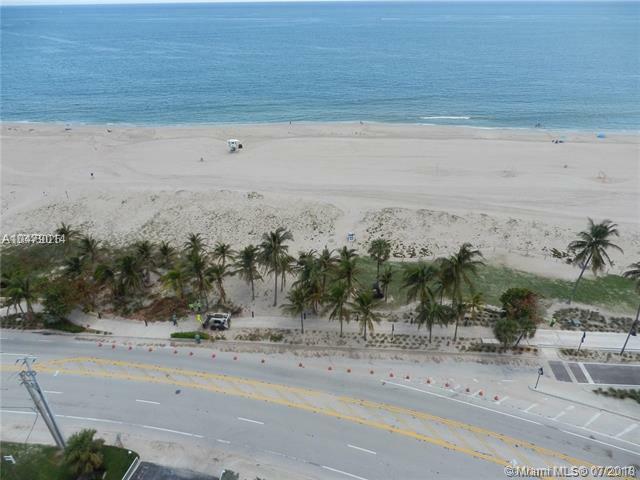 Live in the heart of Pompano Beach's revitalizing project, beautiful Park like settings, fishing pier & new beach promenade. Easy to show !